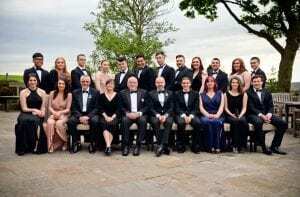 NCC Public Services students and staff enjoyed an evening to remember at a spectacular military-style MESS Dinner held at The Alma Inn in Laneshaw Bridge. 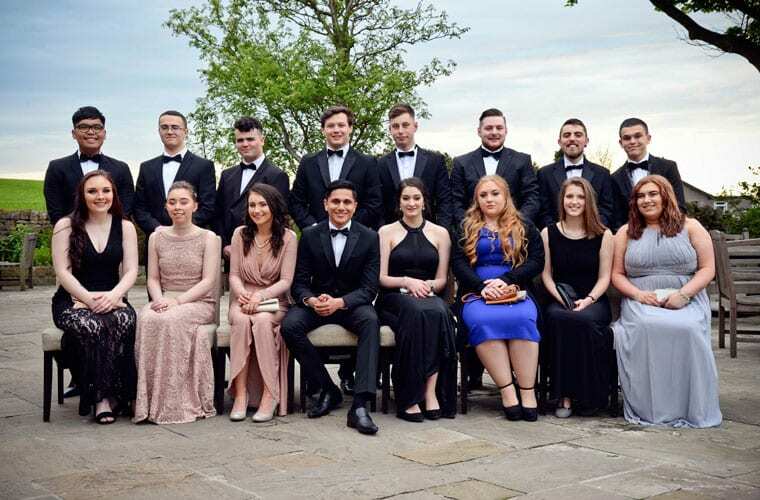 Switching their usual gear for gowns and tracksuits for tuxedos, the students did not fail to impress with their stunning outfits and it was a fantastic occasion to celebrate the end of two years at NCC. Philip da Silva, a retired WO2 Battery Sergeant Major in the Royal Artillery, was the guest speaker at the event, which included a superb four-course meal. 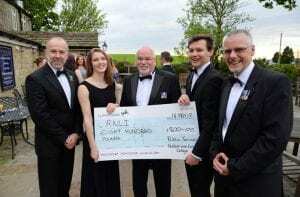 Mr da Silva also collected a cheque on behalf of the RNLI for £800 raised during a recent rowing challenge successfully completed by the Public Services department. The RNLI’s Lifeboat Station at Lytham St Annes needs to drum up £275,000 towards a new state-of-the-art £3.4m ‘Shannon’ lifeboat, and in April, staff and students rowed 231,500 metres, the range of the new lifeboat, in approximately nine hours. Public Services tutor Richie Watts, who was also joined by Vice Principal Paul Britton for the celebration, said: “The annual MESS Dinner is a highlight of the Public Services’ calendar and it is the perfect way to bring the curtain down on our students’ time at College. “The dinner is a real celebration of the hard work and commitment our students have shown throughout their time at NCC, as they prepare for a bright future in the public services. “They were all immaculately dressed and conducted themselves impeccably on the night. We wish them all the very best in the future and we look forward to hearing how they progress as part of our alumni. Level 3 student Jordan Cardwell has an ambition to become a Warfare Officer in the Royal Navy and is in the process of applying for the role. He said: “I thoroughly enjoyed the MESS Dinner as it offered the chance for all of us to come together for one final time, all looking smart, to celebrate what we have achieved.